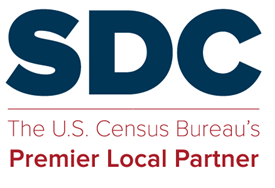 The Census Bureau held a conference call with the Steering Committe on December 1, 2009 to discuss some of the initial questions that the Bureau has received regarding the program. Click here for the minutes of this meeting. This entry was posted in Steering Committee and tagged Geography, LUCA. A Cure for the Common Codes is a collection of web pages from the Missouri State Data Center – one page for each state in the U.S. and the District of Columbia – that display common geographic codes pertaining to the state. While all of these codes are somewhat readily available at various locations on the web, we think it will be very convenient to have a 1-stop site where they are all collected in one place and in a consistent, compact format. This entry was posted in Tips and Documentation and tagged Geography.